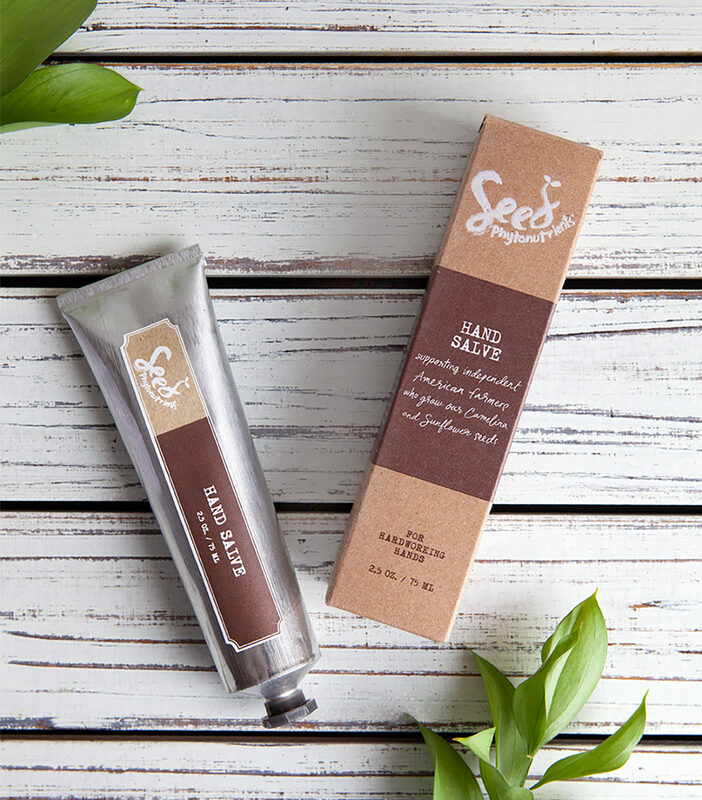 For Seed Phytonutrients, product packaging is a key component in the brand’s goal of environmental sustainability. 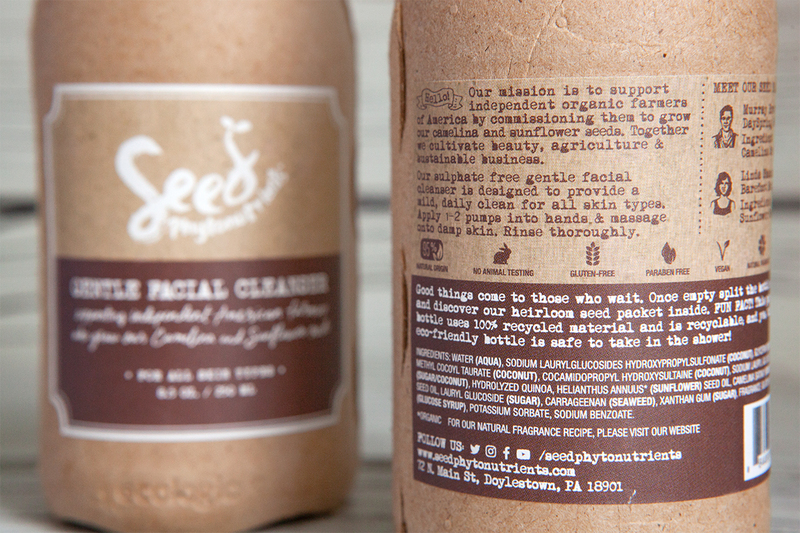 Their revolutionary ecologic bottle is the foundation for their sustainably packaged line of products. It features a 100% post-consumer recycled paper shell, which is recyclable and compostable. 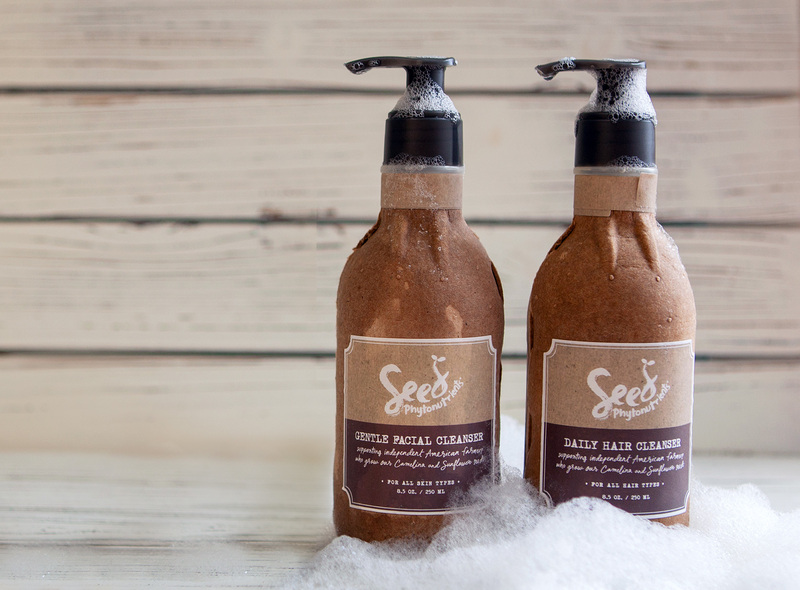 The packaging uses 60% less plastic than a traditional bottle. Due to the innovative design and materials, we chose to keep the graphics simple. As the collection grows so will the color palette, but for the essentials collection the client chose to go with an earthy brown. 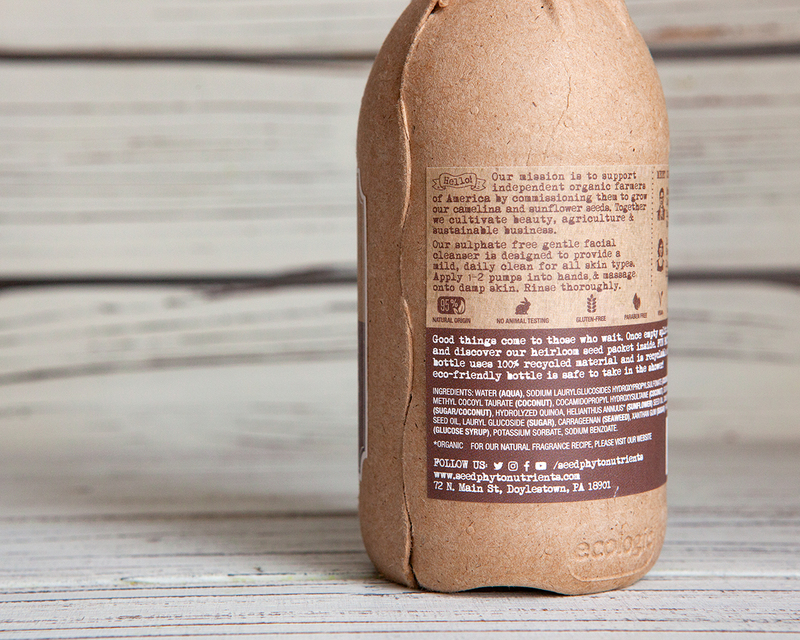 The use of a separate front and back label on the products in ecologic bottles highlight the seams of the paper bottle shell. 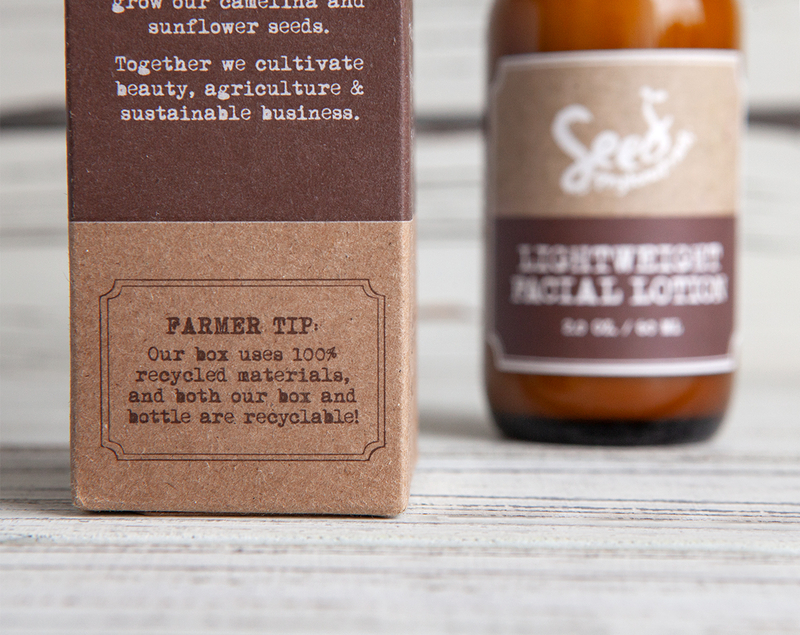 The front ecologic label features handwritten typography and a custom die-cut shape. 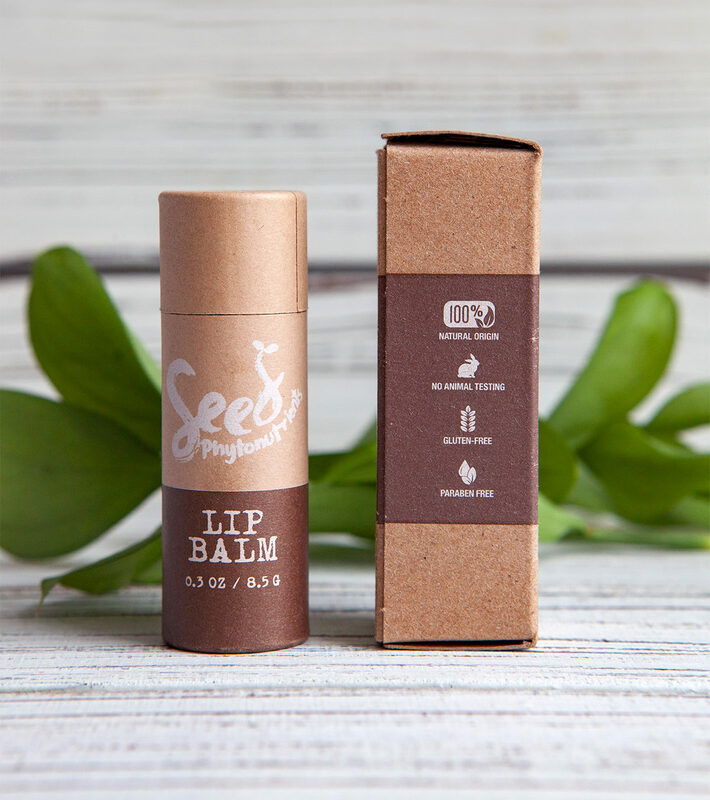 All of the products cover a lot of information on the backs, including the brand’s mission, farmer bios, and what to do with the packaging after you’ve used up all the product.